For Lost & Found services at the Glendon Campus, please visit the Security Services wicket at the Security / Parking / goSAFE office, connected to the Student Housing office, or call 416.650.8000 for assistance. Once an inquiry is received our staff will check to see if your item has been turned in. At times we may have a number of similar items being turned in, so when inquiring about a lost item please be as specific as possible (ie. 'white phone' is not as descriptive as 'white iPhone with my picture on the screen, Telus network') — this will help us ensure that we can best match any items turned in with your description. 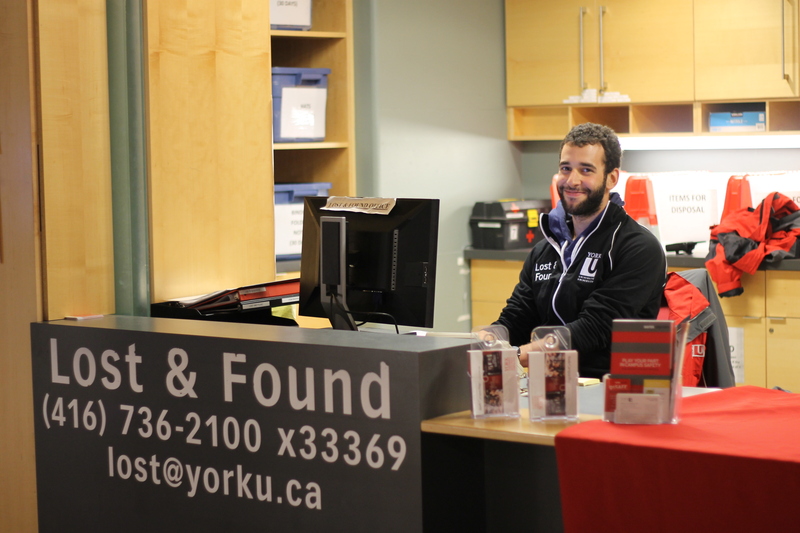 Found items can be turned into the Lost & Found office during operational hours, or left with York Security Services in the William Small Centre after hours. Once an item is turned in the Lost & Found office will attempt to process it as quickly as possible. This can include examining the item for any name or contact information that could link the item to a possible owner, tagging the item into our database. If we are able to identify an owner we will make every attempt to contact him/her, with phone or e-mail being the primary methods. When an owner is contacted via e-mail we also provide the owner with the item ID, and ask that you have this number ready when picking up any items to expedite identifying which item is yours. Items are tagged into our system as they are turned in, with a full description of the item, date the item was received and location the item was found in all being logged. This is done to ensure the greatest chance that the item is returned to its rightful owner. York University regrets that it cannot be responsible for items of personal property left unattended on the grounds or within buildings.